These documents comprise the miscellaneous series in the Abbie Bright collection. 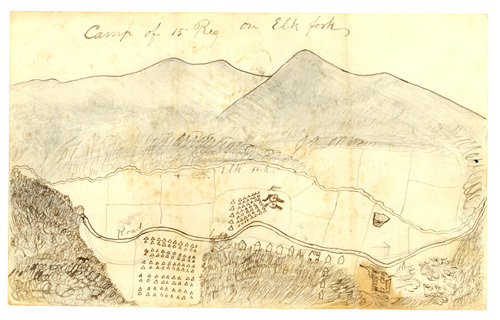 The series includes an undated drawing of the camp of the Fifteenth Regiment on Elk Fork; notes of W[illiam] Ross dated 1870 on frontier life in Kansas; and an 1878 land patent written out by J. A. Williamson, Washington, DC, to the late Philip Bright.